Donating Blood does not have any side effects on your health. In turn, there are several benifits of donating Blood. It has been observed that increase in blood iron level increases the chance of heart disease. Iron is involved in the oxidation of cholesterol and this process is believed to be detrimental for the arteries. Increases blood iron level favors this process of cholesterol oxidation and thus leads to heart disease. Regular blood donation helps especially males in loosing iron on regular basis. It helps in reducing the chance of heart attack to one third. As the blood is withdrawn from the donors body there is decrease in blood cells. To replenish it, immediately new cells are produced by marrow and this way blood gets refreshed. 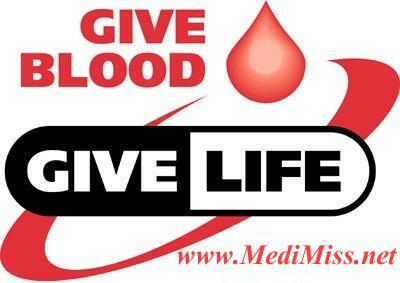 Therefore donating blood helps in stimulating generation of new blood cells. Hemochromitosis is a genetic disorder; also know as iron overload disorder wherein iron accumulates in the body tissue because or improper iron metabolism. This condition may lead to organ damage. Though this problem is uncommon in Indians, people with little iron overload also can easily donation blood and reduce their iron content. Taking example from other countries, one in every 300-400 people in England suffers from this disorder and American Red Cross blood services accept such donors as safe donor as it’s a genetic disorder, it won’t be harmful to the person receiving blood from such donors. One can diet or remain fit by donating blood regularly. One pint of blood (450 ml) when donated burns 650 calories in donor’s body. It has been mentioned in various sites though not proved that elderly people in good health have reported feeling invigorated or reenergized by giving blood on a regular basis.